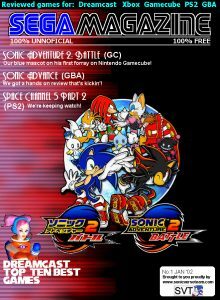 A Sonic Stadium Exclusive! 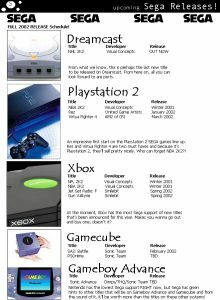 SEGA has been a motivator in the games industry ever since the master system came out all those years ago. 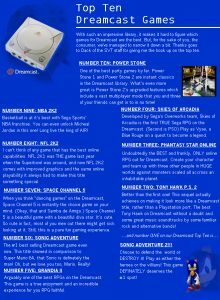 SEGA has always done what not other game company has. Since their recent decision to go multi-platform, news about them has been scarce and many fans have been disappointed. 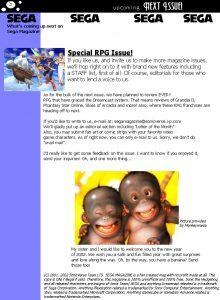 The purpose for this unofficial magazine is to help aid those lost SEGA lovers with a something new that can represent SEGA by the fans. 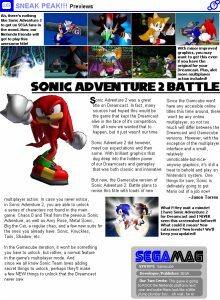 This is SEGA Magazine: 100% Unofficial. 100% Free. 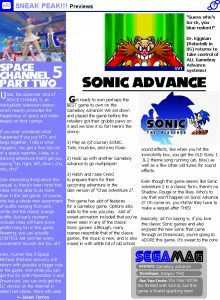 Previews: Sonic Adventure 2 Battle, Sonic Advance and Space Channel 5 [PS2]. Features: Top 10 DC Games. 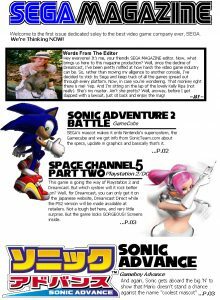 A Sonic Stadium exclusive, brought to you by SonicVerse Team.